As a blogger I know that nothing drives retweets and inbound links like a good top x list of reasons why something is something. For example my post on the three lies that the travel industry keeps telling consumers was my top trafficked post for August 2009. Normally the list is kept at less than ten because the aim of the post is part informing the reader and part driving traffic. I came across a article last week that broke the rules on keeping the list at less than 10 - therefore hurting their chances at retweeting and inbound links but compensates by being a genuinely informative read and well worth being a recommended read of the week. The post is "59 SEO Ranking Factors" from Joe's AdBlog. It contains what it says it contains - a list of the 59 factors that influence your site's organic search ratings. There is nothing flowery or engaging about the writing in this post but this lack of wordsmithyness (how's that for a made up word) does not detract from the value of this content. This is a great info source and worth you taking a look. SEO is the process of making website easy to find in search engines for its targeted and relevant keywords. 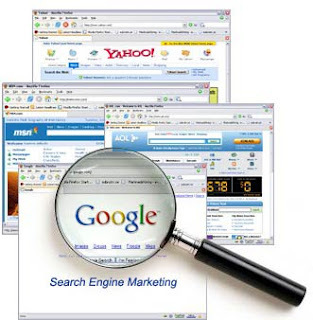 This could be achieved by optimizing internal and external factors that influence search engine positioning. Hotel Internet Marketing is changing daily with the use of local maps and local listings. SEO strategies are now being faced with incorporating multi faceted citations and inbound links for this promotion. I have found www.localizeitnow.com to offer some extremely effective ways to manage this promotion online.